How Heart Disease and the "Widow Maker" Slapped Me Right in the Face! Me & My Mama-isn't she pretty? 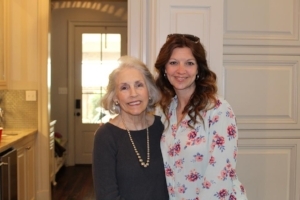 You know, I always tell the story that part of the reason I became a Registered Dietitian is because of my mom...you can read about that here. Anyway, funny how 25 years later, it comes back around to her. My mom has always been very nutrition conscience. She changed us from whole milk to skim milk 30 years ago, when no one even cared how much fat was in your milk. And I have 3 brothers and a sister who NEVER even knew she did it! (Well, my sister doesn't drink milk, so she doesn't care! :) Anyway, she has always been a "salad dressing on the side", "no butter on my vegetables please" kind of lady! To add to this, she is about 5 ft tall and MAYBE 100 lbs! Little bitty thing. What's your point Jennifer? This past week, my mom had a heart attack....and I still just cannot believe it. She is recovering now, and luckily, was taken to the emergency room, where they did a heart catheter and was told she had what they call a "widow maker". PSA - DON'T read up on that, it will scare the you know what out of you! 90-95% blockage in her main artery and 60-70% blockage in another one. To say that I was shocked is an understatement! My sister and I just kept saying that she is the one person who we would say would not have a heart attack. Long story short, she had a stint put in the big blockage and they are going to treat the other blockage with meds and monitor her very closely. But this got me thinking about women and heart disease. We have to take care of ourselves and we have to eat right! I don't eat right all of the time, I love chocolate and really would rather eat it than a real meal anyday. (Not your typical dietitian!) But, I have to get some self control and buckle down. And exercise? HA! I don't really LIKE to exercise, which is why I just limit my portions of the things I eat in order to keep my weight down (which hasn't always been down, but that is a story for another day!). My mom has multiple sclerosis and has had it since around 1985, so when she was experiencing some of the symptoms outlined as red flags for heart attacks in women, she just assumed it was her MS. And, she played them down majorly. She didn't want to worry any of us, so she kind of tried to manage them and move on. But after vomiting for 4 days, not eating a thing, and becoming so short of breath she couldn't complete a sentence, she couldn't play it off as "nothing" anymore. So, why am I telling you this? I am going to talk about heart disease more and not necessarily about what we eat. Her major risk factor was that her dad had a heart attack 47 years before. She didn't have diabetes, she wasn't over weight, her blood pressure ran low....her cholesterol was a little elevated, but nothing to be alarmed by. But mainly, I'm going to start exercising....YIKES! I know, I can't believe I just said it out loud! But, I have to do it. I have two girls that I need to be a good example to, AND I want to live a long, long time. these are not my shoes, this is not an advertisement for shoes, I just like lime green! I will take you with me on this journey, whether you want to go or not! :) I have to go get me some walking shoes first!!! 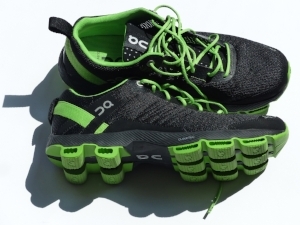 Any suggestions on walking shoes anyone has that they particularly like? Please comment below!! And be looking for posts about heart health, because they are a coming!